Why buy a stainless steel juicer over a plastic model? There are a few reasons why you may want to choose the stainless version of your next juicing machine. Perhaps you’ve heard how healthy it is to juice foods to enjoy the best vitamins, minerals, and enzymes that fruits and vegetables provide. 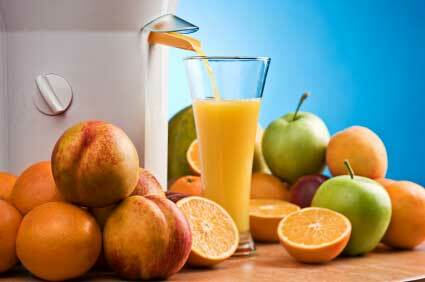 If you are interested in juicing on a regular basis, it’s a good idea to purchase a nice juicer of your own. Of course, you’ll quickly find that you have several choices. Two of the options available include a stainless steel juicer and a plastic juicer. Wondering which model is the best one for you? Here is a closer look at stainless steel versus plastic juicer models. You’ll find that both the stainless steel and the plastic juicer have their own unique aesthetic value. Plastic juicers come in several colors, allowing you to choose one that will look nice in your kitchen. However, you’ll find that the stainless steel juicers provide a sleek and modern look, which is very popular today. Stainless steel has become popular in kitchens, and many kitchens include kitchenware, toasters, coffee makers, refrigerators, and other appliances in stainless steel. This means that a juicer made of the same is sure to fit in nicely. Another thing to consider when comparing stainless steel and plastic juicers is the ease of cleaning. Stainless steel is very easy to clean and you won’t have to worry about any corrosion. You’ll also find that most stainless steel juicers can be simply put in your dishwasher for easy cleaning. However, many plastic models are not dishwasher safe, since hot temperatures may cause warping. 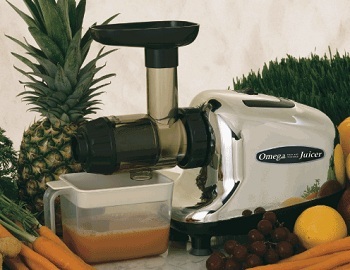 The quality of juice is often better in a stainless steel juicer since you don’t have to worry about corrosion. You also don’t have to worry about leeching with stainless steel. Plastic options may leech dangerous toxins into your juices, which can be a problem. When you use a stainless steel juicer, there is a lower chance of oxidation occurring. This means that your juice will be high quality and it will also last a long time. When you’re ready to purchase a juicer of your own, durability is going to be important. In most cases, you’ll find that stainless steel juicers are stronger and more durable. Plastic is a material that is more likely to break down over time. This means that a stainless steel juicer will probably outlast a plastic one. Of course, the cost is a factor that many people look at when consider the purchase of a new juicer. 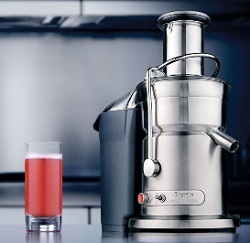 The juicer made out of stainless steel will probably cost more than a plastic juicer will. However, since stainless steel is more durable and more likely to last longer, it’s usually worth the extra money to buy the higher quality option. Overall, if you are purchasing a juicer and you want a high quality model that provides durability and high quality juice, the stainless steel juicer is the better choice. If you’re only going to juice occasionally, the plastic juicers may be fine, but those that plan on juicing on a regular basis will probably get better service from the stainless steel models that are available.